At last, the innovative and funny 2000s MTV comedy-music series 2Gether is available on a DVD Box ..
Brotherly Love ran from September 16, 1995 to May 18, 1997 on NBC. It stars the Lawrence Brother..
Carpoolers is a hilarious sitcom about four very different guys who bond while carpooling to and .. Complete Savages DVD Box Set - 2005 Sitcom - Every Episode! 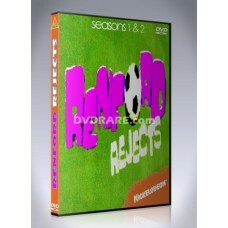 At last, the hilarious 2005 sitcom 'Complete Savages' is available on DVD, exclusively ..
At long last, Nickelodeon's Cousin Skeeter is available on a DVD Box Set exclusively at DVDRare.com!.. Fresno is a 1986 television comedy miniseries that parodied popular prime time soap oper.. 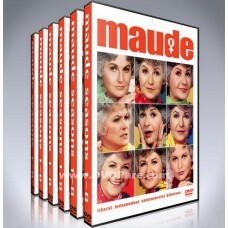 THE ONLY DVD SET AVAILABLE WHICH CONTAINS EVERY EPISODE! 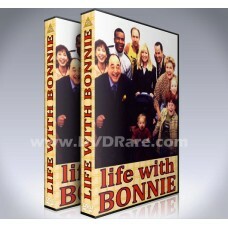 ..
At last, the hilarious ABC sitcom Life with Bonnie is available on DVD, exclusively at DVDR..
We are proud to present the classic American sitcom 'Maude' on DVD. 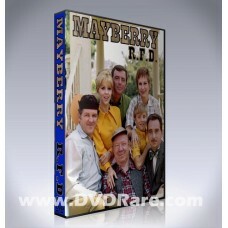 This DVD Set contains Seasons..
Sam Jones, a local farmer, is elected to the Mayberry council. Like Andy Taylor, Sam is a widower ra..
My Date with the President's Daughter is a 1998 comedy film produced by Buena Vista Home ..
Nanny and the Professor is a U.S. fantasy situation comedy created by AJ Carothers and Tho..
Off Centre is an American sitcom that aired on The WBnetwork from October 14, 2001 to October 3..
At last, the innovative and funny 90s Nickelodeon comedy-series 'Renford Rejects' is available on..